The Dancing Horse Ranch x2013; The preeminent residential equestrian estate south of Kentucky, nestled among 5.82 acres at the end of a private drive! This working farm features two 20x60 meter rings (jump & dressage) with specially engineered drainage systems, U-shaped barn with 16 stalls surrounding a huge gazebo w/summer kitchen and entertaining area. 85 KW generator services barn. Old World Italian villa features exceptional craftsmanship & luxurious finishes paired w/modern smart-home amenities: fabulous open chef x2019;s kitchen, movie theatre wing, gorgeous bar with taps, wine cellar, large guest house. 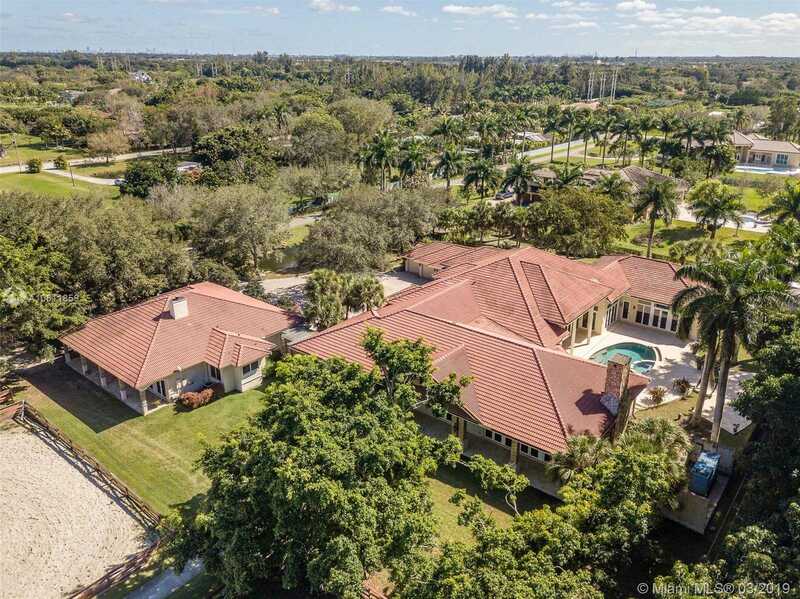 Please, send me more information on this property: MLS# A10611859 – $6,599,000 – 6401 Rodeo Dr, Southwest Ranches, FL 33330.